Here’s something that visitors to the South Pacific always forget: Your seasons are backwards! That’s right… yours! Our summer season begins peaks around New Years, and our winter arrives in June. If you live in north of the equator, it’s the opposite! Don’t make the mistake of thinking it’s always sunny in Oceania. Many places get really cold! One of the things that makes the South Pacific such a wonderful place is the seasons. Last year, New Zealand reported its heaviest snowstorms in 50 years. New Zealand is South Pacific’s top destination for skiing. This is partly due to the fact that most places don’t get any snow, of course! But those Kiwi cliffs make for supreme snow time compared to anywhere in the world. Personally speaking, I’m not much of a skier. However, I love snowboarding — it’s like surfing in the snow! 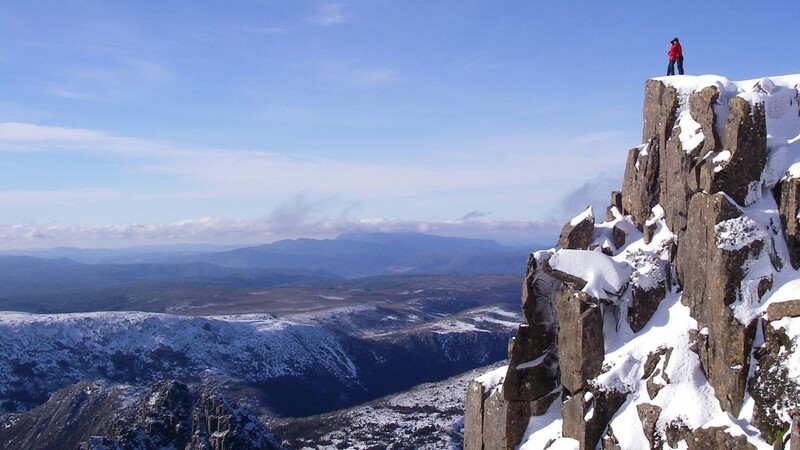 Snow is not uncommon in many parts of Australia, particularly in the southern regions of Tasmania and New South Wales. This photo (RIGHT) is Tasmania, Australia. Can you believe it?! Take a look at a map — it makes sense! Even though we think about Australia and New Zealand as sunny and hot, both reach pretty far south — close to Antarctica, where penguins live. Brrrrr! Summertime in the South Pacific is wonderful! However, it can be a little wet. Between December and March, things can get pretty humid. Humidity makes the air heavy, and increases the bug population (yuck!). If you’re planning on visiting during this time, be sure to check the weather. Winter cyclones are no joke! From Kiribati to Papua New Guinea, the best time to visit is the end of summer — after March. Whether it’s winter or summer, it’s always a good time to visit Oceania.